Since laser vision correction involves the cornea, the health and integrity of the cornea is critical for safe and predictable outcomes. Previously, doctors only had scans such as corneal topography, as a method of measuring the shape of the cornea. While topography scans are capable of showing possible problem areas, they are limited to a front surface view of the cornea only. Subtle abnormalities of posterior surface, or back, of the cornea are impossible to measure with conventional instruments. These subtle abnormalities are often responsible for unpredictable and sometimes very poor visual outcomes after laser eye surgery. The inability to generate exact measurements has been the frustration of many eye care professionals. Worse yet, patients were sometimes told they were not candidates for LASIK based on incorrect information. Even more critically, some patients who were poor candidates for LASIK surgery underwent the procedure, due to unreliable measurements. To the relief of eye care professionals, Germany's Oculus company developed the Pentacam, heralded as the Next Wave in Comprehensive Eye Scanner Technology. Most importantly for potential LASIK patients, it allows doctors a precise elevation map of the back surface of the cornea, unparalleled by any previous technology, so that recommendations can be made for the safest possible laser vision correction. The 3D capability of the image allows doctors to determine if lens implants for very nearsighted or farsighted patients might be a better option than laser surgery. Doctors can also grade the level of cataract development in the lens of the eye and follow its progress with subsequent scans. For patients who have undergone previous laser vision correction who are in need of cataract surgery, doctors can more accurately calculate the lens implant replacement power with the true corneal curvature measurements provided by the Pentacam. In addition some corneal conditions such as keratoconus, pellucid degeneration, or corneal ectasia can be monitored for stability or progression with the Pentacam. This allows surgeons to help these patients with the best contact lens or other vision correction option for their particular need. 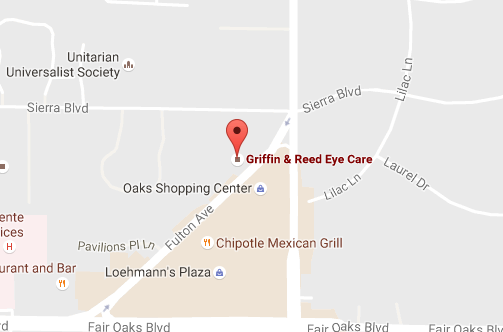 Griffin & Reed Eye Care is the first ophthalmology group in the greater Sacramento area to offer patients the benefits of the Pentacam. The enthusiasm of these Sacramento LASIK surgeons for this advanced eye care device means that many patients contemplating laser eye surgery or lens replacement surgery can receive the safest and most accurate treatment choices. 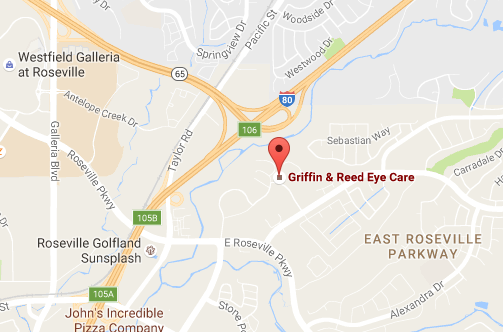 In the opinion of the eye care professionals at Griffin & Reed Eye Care, there is no instrument more detailed, accurate, and helpful as a diagnostic device in determining a patient's candidacy for laser vision correction than the Pentacam.